Hey mom, what's for breakfast? When it comes to feeding 19 children, the Duggars say it's all about meal planning -- and buying in bulk. They spend about $3,000 a month on groceries, Michelle Duggar told TODAY's Savannah Guthrie, who visited for breakfast Monday. They do one big monthly grocery shopping, plus weekly shopping to tide them over. Here's a grocery list for the food it takes to feed the Duggar family for one -- yes, one -- typical day. Duggar kids line up and serve themselves, buffet-style, for breakfast. Why are people so obsessed with the Duggars? Pillowfight! 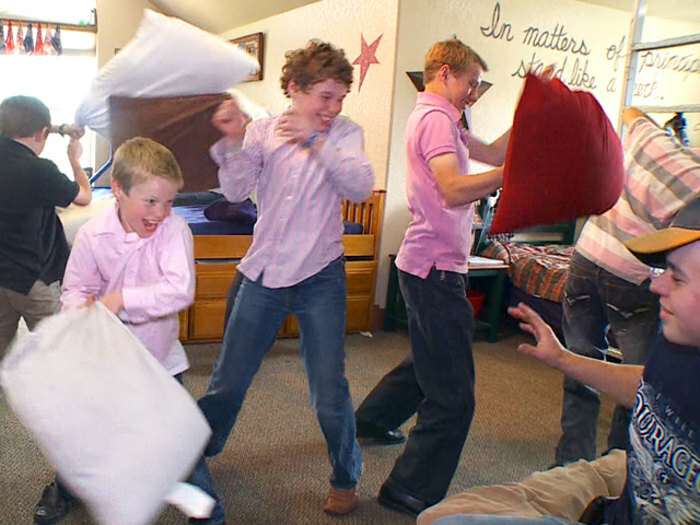 The Duggar boys cut loose. 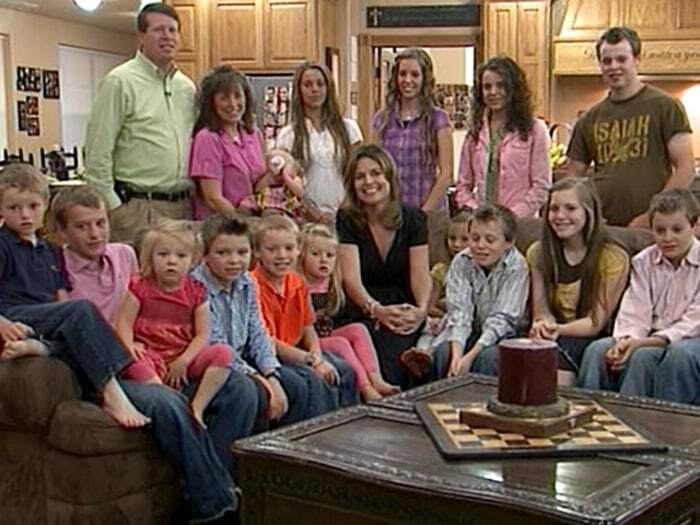 TODAY's Savannah Guthrie joins the Duggars for breakfast.